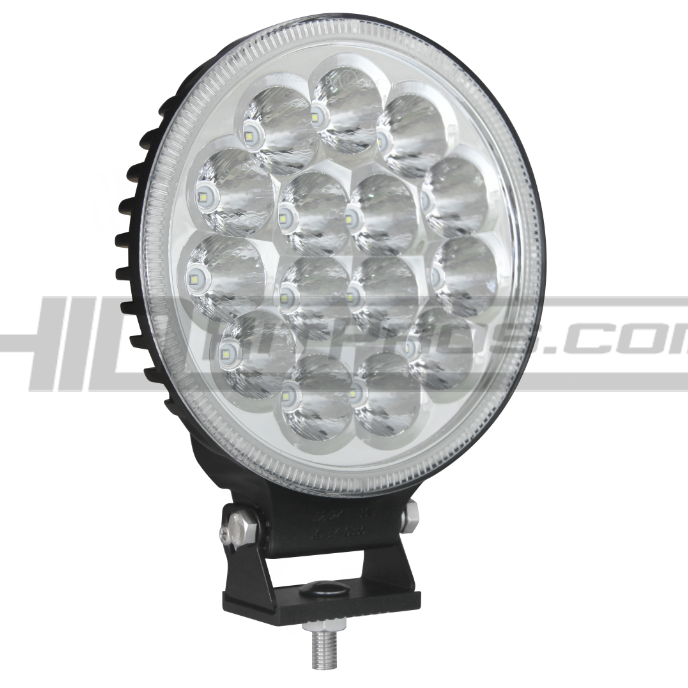 Output – TOTRON’s seven inch LED driving light are no joke when it comes to light output. 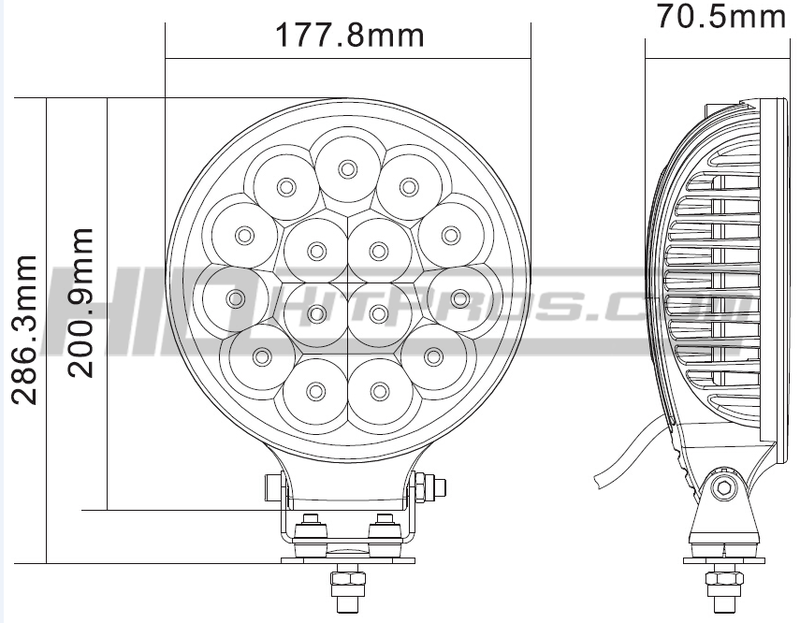 Boasting a massive 4,050 raw lumens per lamp, you will be hard pressed to find a brighter CE/FCC/ROHS compliant driving light on the market. 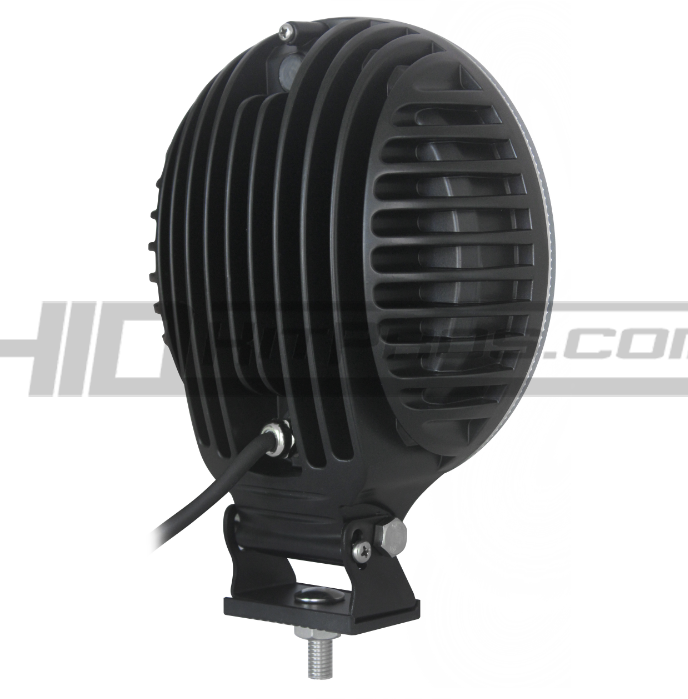 The unique design of the reflector bowl allows for optimal light output from the high power CREE LED chips. Slim – The slim design of the T3845 allows for installation virtually anywhere with most popular behind in front of the grille of vehicles, secured to the core support or bumper. Because of the slim body, the lamps do not stick out past the bumper in most applications allowing clearance when navigating through tight spaces without worrying about ripping off the lamps. 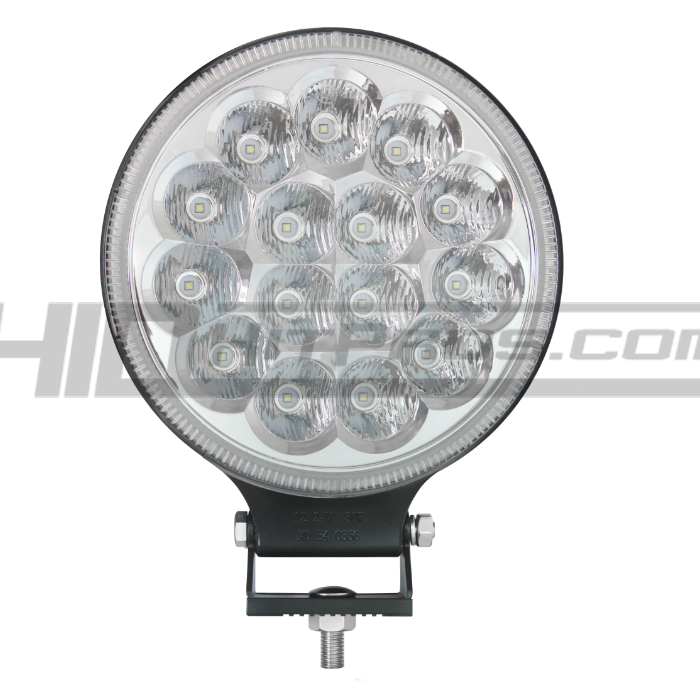 Exclusive – Built and designed by the technicians at HID Kit Pros for a high powered LED driving light that would blow away the competition. Goretex breather patch on every light allows for heat to escape while moisture is kept out. Weatherproof Deutsch connectors allow for watertight connections with our TOTRON wiring harnesses.